Security is often overlooked when trying to get new technologies into production, so any security focus on containers is definitely a positive thing. For example, to harden and trim down the OS, Seccomp or AppArmor types of solutions can be loaded to set security profiles between containers and the host kernel. Container images should be scanned before pushing them into the registry and the images should be digital signed at build time. And so on. While these are all good practices for container security, no matter what defenses or security walls are put in, we can’t assume that hackers and thieves won’t find a way in. It’s very similar to the evolution of virtual machine vs physical servers. While isolation and virtualization does improve security in addition to manageability and disaster recovery, it is just not enough. Applications can have security holes and a software bug may open a backdoor at run-time. Then suddenly compromised processes appear behind the defense lines just like paratroopers. That is why all security for defense in depth or layered security includes real-time, run time detection of threats and violations. It’s no different for containers. In many scenarios run-time security is even more critical and serious than static security because threats are happening in real-time when applications are running, not dormant or at rest. If we look at a typical application life cycle, the application was built and tested in months, packaged in days, was deployed and configured in hours or minutes (thanks container technology). But it will likely be running for years. A successful shared application may even have millions of copies running over the world. A running application has a much bigger time window to be in risk of attack. A small code bug could cause a huge run-time security vulnerability for a long time (for example, SSL heartbleed). Run-time security is so important that companies have to think about it when deploying applications in production. It doesn’t matter if it is loaded in a virtual machine, physical machine or a set of small containers. So what’s the best strategy for run-time container security? Here are 15 tips for securing containers during run-time. I’ll start with some of the preparations that I mentioned before, then get into more advanced capabilities. You can also download the checklist and guide here. Containerization is all about faster and deeper virtualization for applications. This makes it challenging for DevOps and security people to get the visibility and security needed without slowing everything down. 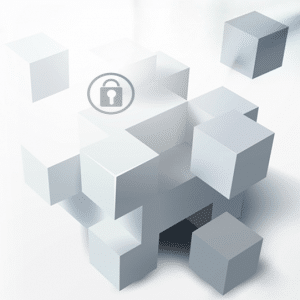 A run-time security solution has to have deep application awareness to fit in and keep pace. You can spend a lot of time trying to close all the gaps. But we know that new exploits emerge constantly and there may be unknown back doors (or vulnerabilities) to our systems. So at a minimum, deploy a run-time container security monitoring solution that knows what to look for and can catch attacks early. It’s a bonus if the solution can also prevent attacks without totally destroying containers and impacting the service too. You can download a helpful guide and checklist with 15 tips for run-time container security here. The guide contains additional information and tips and the checklist can be customized for your own deployment. Let us know if you’d like to try out NeuVector on your own. It deploys just like any other container in minutes and is compatible with tools such as docker-compose, Kubernetes, Docker Swarm/UCP, Mesos, and Rancher. Fei Huang is the CEO and Co-Founder of NeuVector Inc. He has over 15 years of experience in enterprise security, virtualization, cloud and infrastructure software. He has held engineering management positions at VMware, CloudVolumes, and Trend Micro and was the co-founder of DLP security company Provilla.